The Waverly Hills Sanitorium! What can I say?! This is one of THE most spookiest, creepiest places I have been to! Haven't heard of it? Check it out! It had been a while...a couple months, since I had gone to an event or traipsed off ghost hunting and I was so itching and so excited to be planning this one! PLUS! I was going to be going out there to Kentucky with Darkness Radio's Dave Schrader AND The Ghost Adventure guys from the Travel Channel! I had not really ever seen their show before. 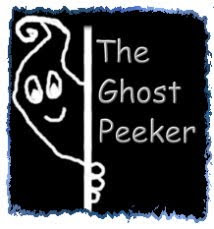 I had heard of it and caught maybe some bits and pieces and was told that they really provoke a lot more and challenge the nastier energies and spirits at some of these haunted locations. So before I left, I went to YouTube (which is a great source to see some great videos!) and I checked them out before I went so I had a sense of who they were. I had gone up there early so I could scout the place out before starting the ghost hunting event. I thought I might catch some EVPs if I could just get near the Waverly, maybe walk outside it or something. But when I arrived, it was rainy and nasty out and when I drove up to where it was located, there was a gate and it was locked. They do not allow anyone to wander about too closely to the building. I could see why as there are quite a few places within and without that you could easily get hurt if you are not careful. The road leading up to it however seemed like a nice spooky back road that seems to be worth revisiting to try to catch some EVPs. I tucked that in the back of my mind for another time, perhaps on a return visit to the Waverly! We were all to meet at a hotel not far from the site but I was able to get some free nights at a different hotel that was closer to the Waverly with some points I had from previous travel. I had a rental car, after flying into Kentucky, so I just drove up for the events and spent the day at the hotel where the event was held to attend all the lectures and classes that were being offered. Unfortunately, only one restaurant on the premises and it had limited hours so most of the time, I mosied on down to the local Cracker Barrel where I knew good food was going to be had! Great country cooking and it is one of my favorite places! You can pick up a lot of neat nostalgic type of gifts and candy and fun toys for kids there if you have never been. Food is top notch!